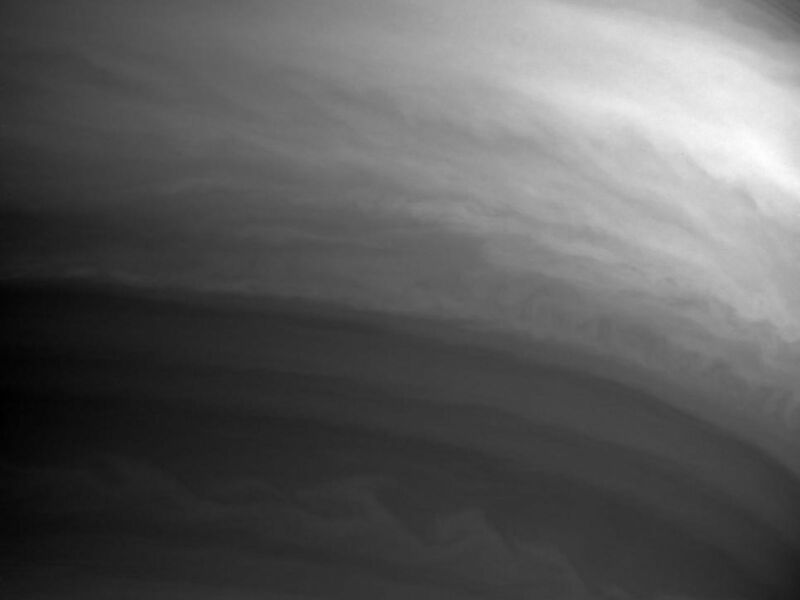 This Cassini image shows details in the swirling clouds of Saturn's southern hemisphere. 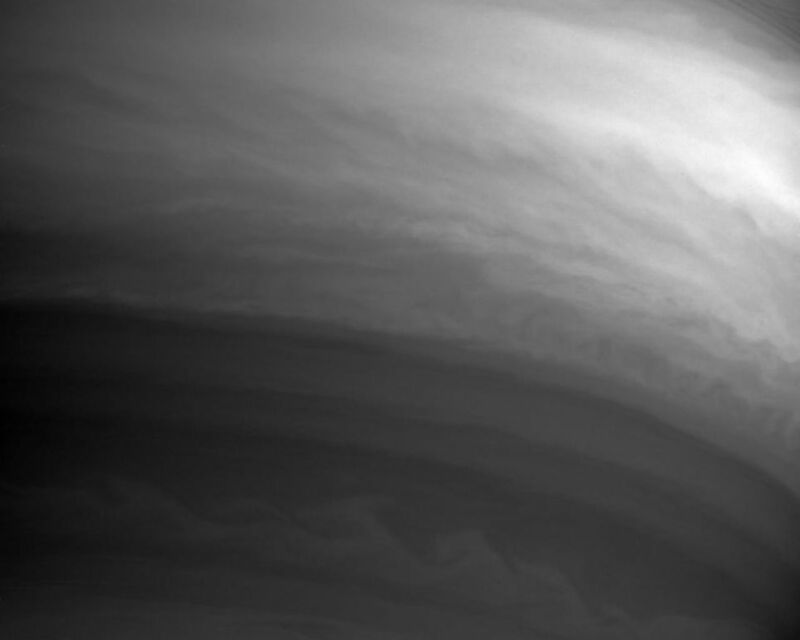 Although the contrast between light and dark is low, the clouds exhibit considerable structure. 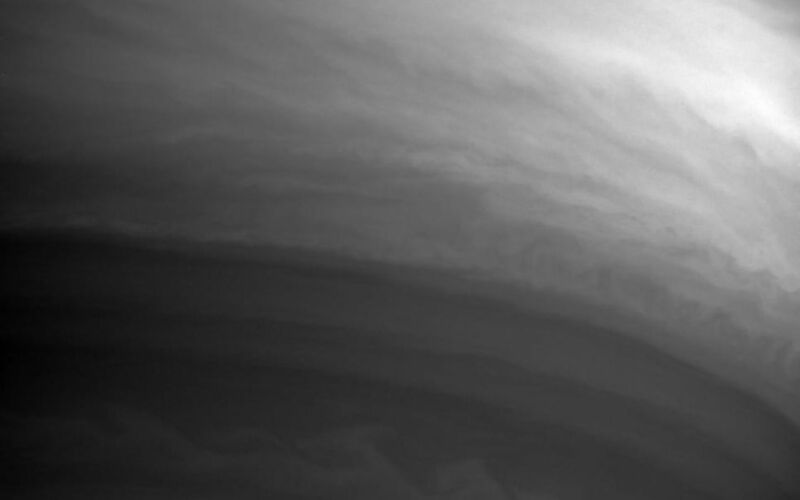 At larger scales the east-west banded flow pattern of the atmosphere dominates. At small scales turbulent eddies and waves predominate. Ring shadows and part of the sheer C ring can be seen at upper right. 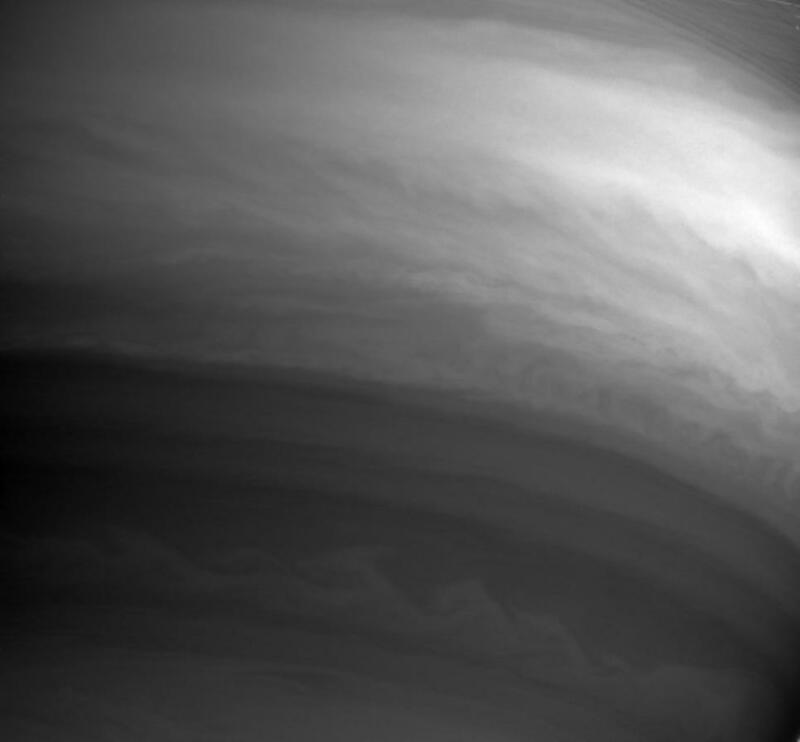 The image was taken with the Cassini spacecraft narrow angle camera on Sept. 24, 2004, at a distance of 7.8 million kilometers (4.8 million miles) from Saturn through a filter sensitive to wavelengths of infrared light centered at 889 nanometers. The image scale is 92 kilometers (57 miles) per pixel.